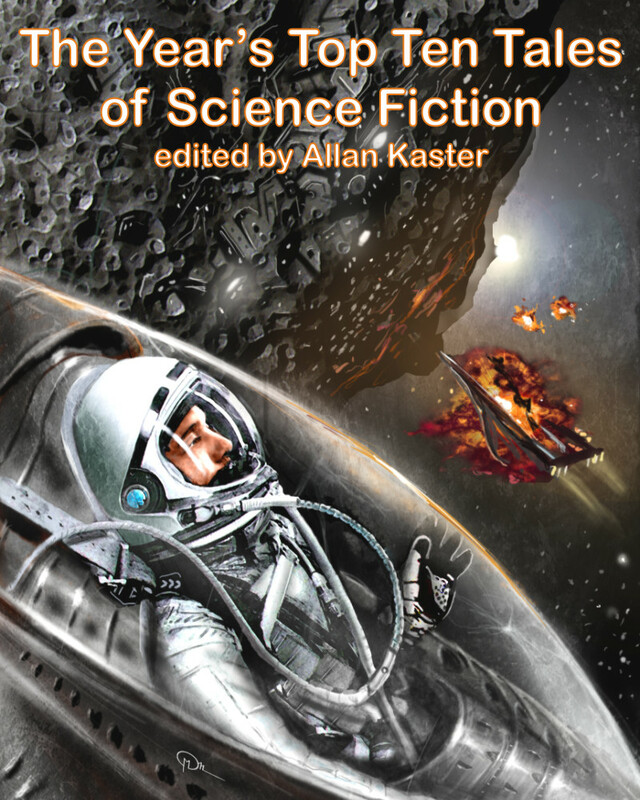 This is an unabridged audio collection of the “best of the best” science fiction prose originally written in 2008 by current and emerging masters of the genre as narrated by top voice talents. “Exhalation,” by Ted Chiang, tells the story of a world totally unlike Earth where mechanical men use the gas argon as air, replacing their lung tanks daily from an underground well. “Exhalation” won both the 2009 British Science Fiction Association Award for best story and the 2009 Locus Award for the best short story. “The Ray-Gun: A Love Story,” by James Alan Gardner, tells the story of a boy who discovers a ray-gun that affects his life in unanticipated ways, both good and bad. This story won the 2009 Theodore Sturgeon Memorial Award. In Stephen Baxter’s “Turing’s Apples” two brothers reluctantly work together to decode an alien signal picked up by a radio telescope on the far side of the moon. In a homeage to H.P. Lovecraft, a black naturalist, just before World War II, investigates the biology of shoggoths (blobs of jelly) on the New England coast in Elizabeth Bear’s “Shoggoth’s in Bloom.” A scientist slowly goes mad trying to prove that the distant stars are made of diamond and that matter is just light slowed down in Jeffrey Ford’s “The Dream of Reason.” In Kij Johnson’s “26 Monkeys, Also the Abyss,” a woman buys a traveling monkey show that pretty much runs it self as all the monkeys know what they’re doing. A steel company will do what it takes to prevent two scientists from releasing the secret of making carbon nanotubes in “The Art of Alchemy” by Ted Kosmatka. In Paul McAuley’s “The City of the Dead,” the town constable in a settlement on a planet in the Sagittarius arm of the Milky Way befriends a woman who researches dangerous hive rats. A genetically enhanced psychopathic secret agent battles the “Rebirths” for the survival of the human race in Robert Reed’s “Five Thrillers.” Finally, in “Fixing Hanover,” by Jeff VanderMeer, a man reluctantly repairs the remains of a mechanical man that washed up on a beach and may be a link to his enigmatic past.